Look... I could say the same thing the other 820,129 financial blogs are saying right now... go long gold, gold miners, and silver - it's money in the bank. You can't lose. It's a 99.7% guarantee. But what fun would that be??? Instead let's go George Costanza and short Caterpillar (CAT). Can China say anything else that pleases us even more in the next few days or weeks? They have created the perfect centrally controlled economy (just trust them!) - they have 10%+ GDP growth, with little inflation, 4% unemployment at all times (even when shedding tens of millions of jobs) and in 4 short months of pressure fixed a real estate bubble in their largest cities. Whew! Further, every American multinational will benefit from their perfection; while continuing to shed U.S. labor of course. I think that good news is in every stock within 6 degrees China, after these past 10-11 days. Plus, technically the stock has stalled at old highs. Maybe. Or it could be a resting point before the double top breakout at which point other bloggers can say "I told you, buy more gold!". In a perfect world, CAT would go down there and fill the gap at $66. But that would assume the stock market can fall for more than 8 minutes which has proven to be impossible.... and listening to CNBC will forever be impossible go forward (Dow 10,000 hats retired permanently). As long as Obama cuts taxes for the top 2% of course... otherwise the market will drop 95% (source: Kudlow). 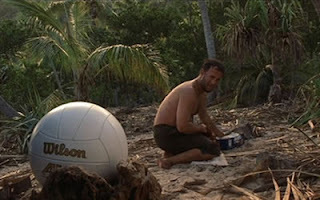 So as I sit on the deserted island talking to the volleyball, it told me to short Caterpillar. I never go against said volleyball... otherwise it will put out my camp fire when I am sleeping. I started with a 1.5% short just under $72. Go ahead and buy the gold miners ETF (yawn).